You can create or respond to tickets by emailing support@dediserve.com from your registered email address. It's important to note that if you use an email that is not associated to your account, it will be rejected, we cannot authorize work on a service from an unauthorized email address. 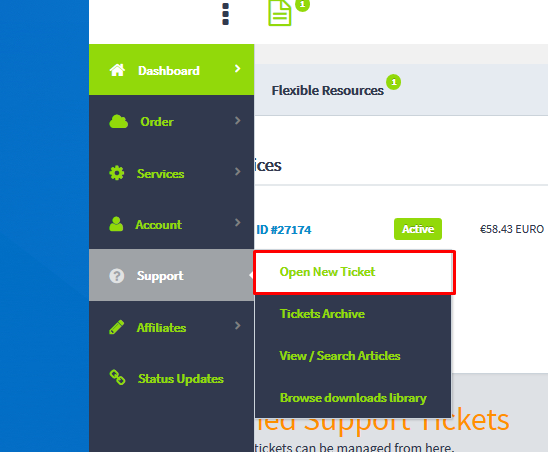 You can create a new ticket from our Dashboard by clicking "Create new", alternatively you can reply to existing tickets from the same panel by clicking the "reply" arrow, close one by clicking the "X", or flick between tickets using the navigator on the right-hand side. If you don't have an account with us, or aren't on the dashboard, you can also create a ticket by clicking "Support - Open New Ticket" .